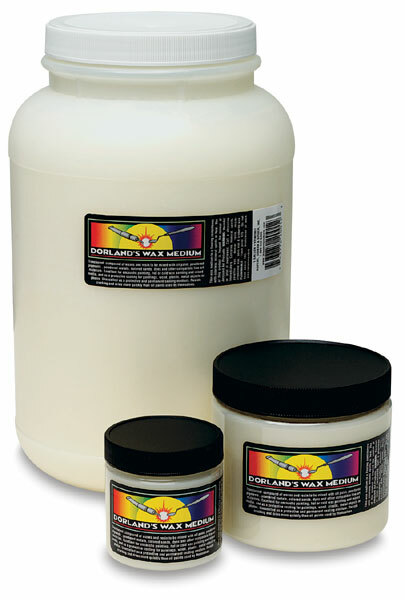 Dorland's Wax Medium is a non-yellowing mixture of resin and pure beeswax that strengthens oil paint film against shrinkage and cracking while sealing out dirt, air, and moisture. Dorland's improves the luminosity and clarity of colors. It adds translucency to oil paints, making them more brilliant. Mix directly with the color before applying it to the painting. No heating is required. It can be buffed to a gloss finish, and thins with turpentine or mineral spirits.